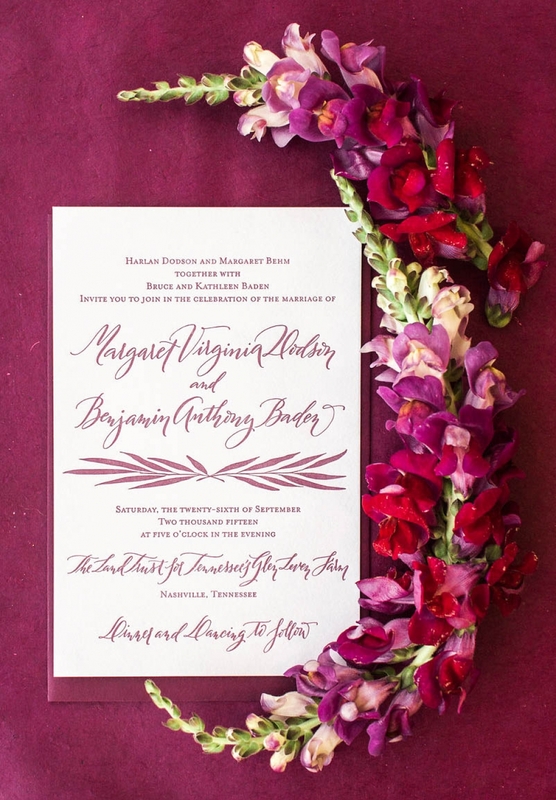 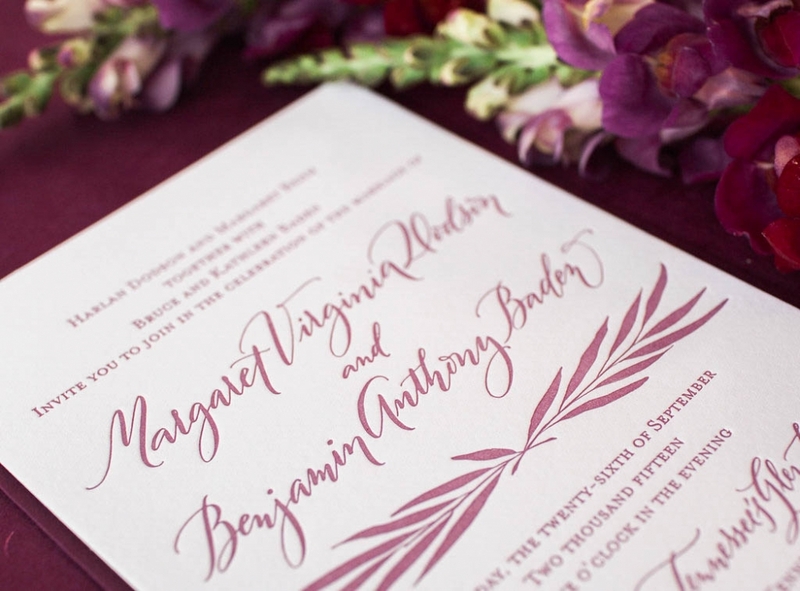 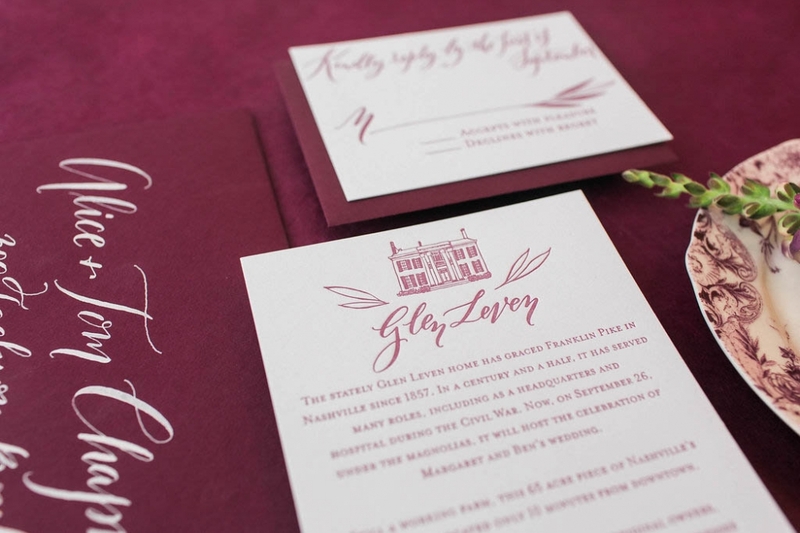 We do a little happy dance whenever a bride chooses to feature a beautiful color throughout her invitation suite + this merlot collection is no exception! 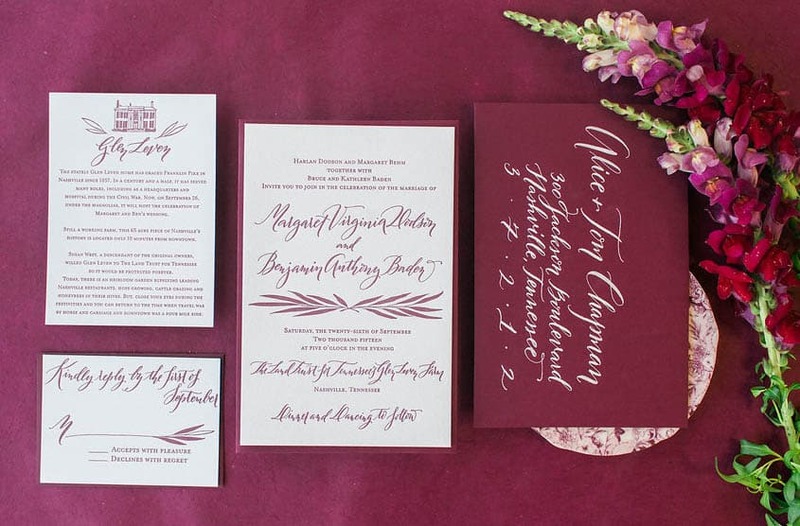 Margaret + Ben’s letterpress invitations have all the details we adore including hand-illustrations, colorful envelopes (that matched her bridesmaids dresses + flowers) + beautiful vintage postage stamps. 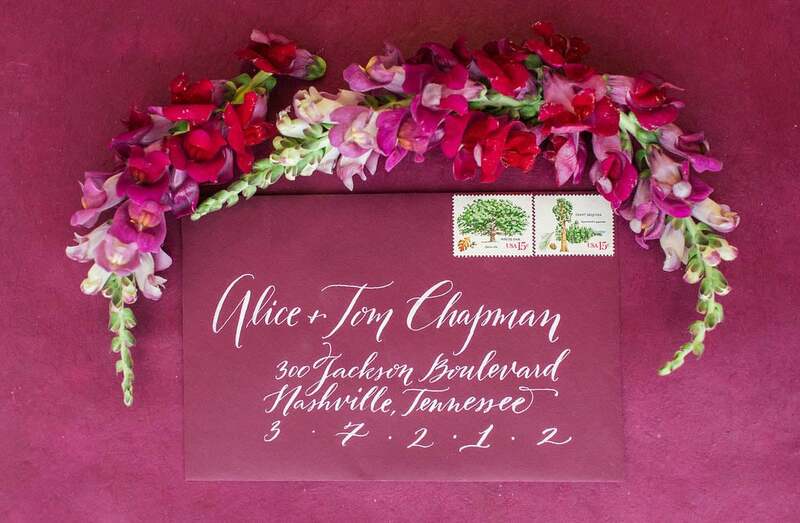 An additional enclosure card tells the story of their Nashville venue, written by the Father-of-the-Bride… talk about thoughtful wedding stationery! 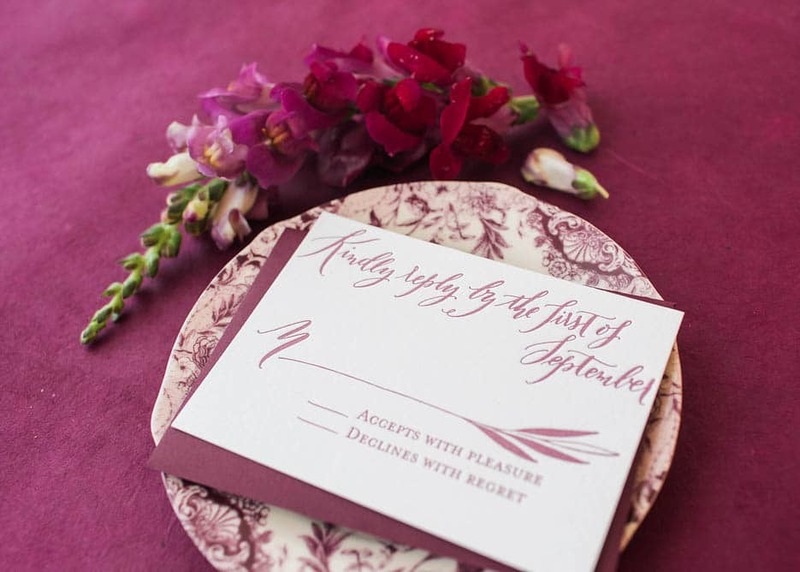 See more images from their feature on Style My Pretty, here.